Smart teams consistently overlook great ideas that were within reach. Can You Become Better and Faster? What is the Future of AI Integration? Jeremy Gutsche is “an intellectual can of Red Bull” (Association Week), a New York Times bestseller and a management consultant to brands, billionaires, and CEOs (he’s even helped NASA brainstorm ways of putting people on Mars). He’s also the founder of Trendhunter.com: the world’s #1 trend-spotting site. With contagious enthusiasm, he shows us how to use methodical innovation to generate ideas and kickstart creativity in times of rapid change. In just a few years, Jeremy Gutsche has inspired 300,000 people at over 400 events for top-tier brands, billionaires, and associations. With an MBA and CFA, the New York Times bestselling business book, Better and Faster: The Proven Path to Unstoppable Ideas (#1 on Amazon and a CEO Read “Select” book for CEOs, entrepreneurs, and managers), and an influential website, Gutsche is a creative globe-roamer with a broad appeal—an ambassador of transformational leadership for major groups (he’s even held a workshop for NASA’s Goddard Space Flight Center, helping them integrate A.I. to be “lean, agile, responsive and adaptive to change”—and, one day, get human beings to Mars). His website TrendHunter.com is the largest, most influential, most updated collection of cutting edge ideas available anywhere. Imagine the insight from a focus group made up of 100 million people. That’s Trend Hunter—its custom innovation advisory is changing the way the world’s most powerful brands innovate. As its founder, Gutsche relentlessly tracks and finds ‘The Next Big Thing’—that valuable but elusive commodity—for a global audience that generates millions of views a month. With phenomenal speed, Gutsche has grown Trendhunter into a trusted showcase for “what’s next” in marketing, design, technology, and other categories. (It attracts roughly fifteen times more page views than its competitors and has been viewed over two billion times). The site’s been featured or cited in over 40,000 articles, and Gutsche has appeared everywhere from Entertainment Tonight to the BBC. He’s also sought out for his management consulting expertise by leading brands, billionaires, and CEOs who need to reinvent their management, strategy, and culture of innovation to better adapt to time periods of rapid change. Gutsche is the winner of The Cisco Innovation Excellence Award and the BDC’s Young Entrepreneur of the Year Award. In bold, interactive keynotes, he delivers a blend of viral new trends, strategic frameworks, and a contagious enthusiasm for innovation. He possesses a unique perspective on innovation in the business context, and draws on his background in both corporate strategy and Web 2.0 to provide you with inspiration and tools to generate ideas, stimulate creativity and unlock potential. At 28, as one of Capital One’s youngest Business Directors, Gutsche led his team to grow a billion dollar portfolio of market leading products. And as a Management Consultant for the Monitor Group, he advised Fortune 500 clients on top level strategy. His first business book, Exploiting Chaos, won an Axiom Business Book Award, was named an Inc. Best Book for Business Owners, and was a #1 bestseller on the 800 CEO Read list. He holds an MBA from Queen’s, is a CFA, and studied innovation at Stanford’s Graduate School of Business. Based on his New York Times bestseller and work helping 500 brands, billionaires and CEOs to accelerate innovation, Jeremy Gutsche’s most popular keynote will ignite your audience with tactical takeaways and next steps to help your team get the most from the event. A core problem threatening business today is that people fail to adapt—or that they don’t know how close they are to even better ideas. After 10,000 years of evolution as farmers, we are pre-wired with a series of neurological traps that block smart teams and successful people from realizing their full potential. In this keynote, attendees will learn how to find their next level and will get the tools, takeaways, and an innovation assessment to ensure they are equipped to make change happen. A short video of this innovation keynote is the #1 most watched innovation keynote video in history, with roughly 7,000,000 views. Starting in 2017, Gutsche launched a series of new innovation assessment tools. In short, each attendee answers a series of tradeoff questions that unlock their unique innovation strengths and weaknesses regarding the future. Then, Gutsche uses this overall assessment to customize his keynote and provide a series of cultural insights about what, specifically, makes your company unique compared to other top innovators. Artificial Intelligence isn’t the future—it’s now. Founder of Trend Hunter and consultant to companies like NASA, Visa, Adidas, and McDonalds, innovation oracle Jeremy Gutsche wants to redirect the way you think about your future, which will inarguably be mechanized by and around AI. In this dazzling, fast-paced talk, Gutsche guides you and your audience through the different forms of AI that we’ll be working with, and how they’ll change the way we interpret and use data, modify interfaces, and eventually move beyond human intelligence. Gutsche outlines the projects coming down the pipeline, including mind-reading technology and bio-enhancements that can help people walk, improve vision, and even turn our eyes into literal cameras. In light of these massive advancements, Gutsche asks: how can you harness AI to your advantage? It can improve recommendations, personalization, and content. It can help us gain new insights into our data, and identify useful patterns. It can also make the world a more sustainable, environmentally-friendly place. Gutsche will show you how to envision AI as a significant part of your future—and then implement it. What great opportunity is close within your grasp? Your life, your future, your career is determined by a much smaller number of critical decisions than you might like to admit? What if you could make those decisions better? What are you currently missing out on? What if you could make just a handful of “much better” decisions? In this talk, Jeremy Gutsche will teach you proven tactics to overcome the five traps that block successful people and high-performance teams from innovating, changing and adapting to what’s next. Culture isn’t just one aspect of the game, easily brushed aside as superfluous. It’s the entire game. In fact, culture drives everything within a company—from the words we use to describe success and failure, to the ways we interact and communicate within and without. And subtle shifts in how we create our communities can mean total transformation—for the worse, and for the better. Join Jeremy Gutsche, an expert in change leadership, as he shows you how the world’s most inspiring companies organize their missions, values, and ethics, and how they orchestrate unique environments that breed success. The core of any progressive company culture lies in finding your purpose, he argues—the passion, urgency, and importance behind your brand. How well have you expressed your principles? How deeply embedded are your values? How do you inspire loyalty and dedication—and give back to the people who take up your cause? Based on over 1,000 interviews with innovation leaders, and tens of thousands of people who have taken his Innovation Assessment, Gutsche unpacks the value of defining, and upholding, a culture that makes clients, partners, and employees get excited about what you do. * Note: this session includes a free innovation assessment for each individual as well as a free group innovation assessment. The assessment will provide each individual with 10 pages of specific insights into how they innovate and lead differently than their peers, which will help to personalize the session. You can also receive a group innovation assessment to understand more specifically how your group compares to the world’s top innovators, enabling Gutsche to better tailor his content, takeaways, and workshops to your company. Gutsche’s innovation keynote and workshops helped: NASA prototype the journey to MARS, the top 200 from Microsoft prototype cultural change, the top 50 from Victoria's Secret better understand their customer, the top 250 from NBC prototype their long term future, the top 80 from Chicago Tribune reinvent their strategy, and hundreds of other brands and billionaires to prototype a better future. 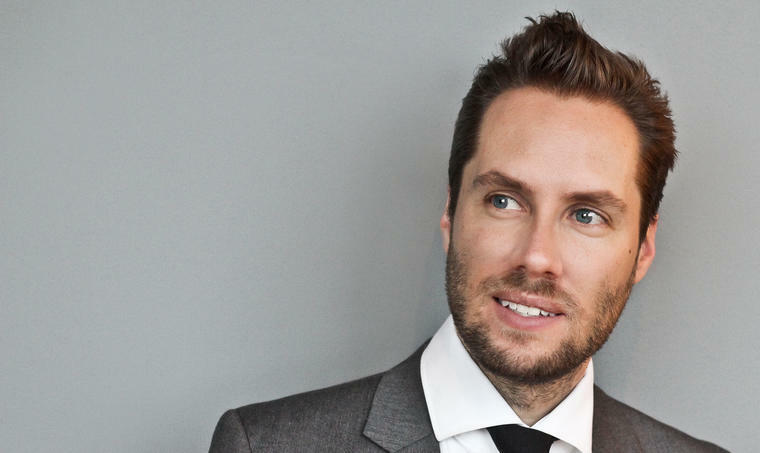 Jeremy Gutsche—Founder, Trend Hunter Inc.